A nursing mother, Funke Arowolo, and two others were yesterday arraigned at an Ado-Ekiti Magistrates’ Court in Ekiti State for alleged burglary and stealing. Arowolo, 18, was brought to court with Seun Adedayo, 19 and Sunday Ojo, 31. Their addresses are unknown. They allegedly broke into a shop and stole items and money. The accused are facing burglary and stealing charges. 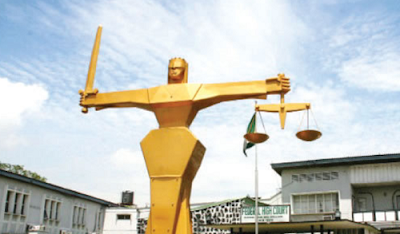 He alleged that they broke into the shop of Mrs. Okelola Bosede and stole recharge cards valued at N2,400, five packs of soap valued at N750 and N9,500. Akinwale alleged that the defendants also burgled the warehouse/store of Mr. Babatunde Suraju and stole a carton of malt drink and a wooden saving box containing N50,000. Their lawyer, Mr. Emmanuel Sunmonu, urged the court to grant them bail, promising that they would not jump bail. The Magistrate, Mrs. Omolola Akosile, granted the defendants bail at N10,000 each with one surety. She adjourned the case till November 8 for hearing.